It's that time of year again - we don't know whether we should be covering up or uncovering. Thank you very much for the summer weather last week, but it totally screwed up my fashion clock. None of my summer stuff was clean. I know that sounds gross, but if you live in the UK you'll understand that once you are past the August Bank Holiday, you won't be needing those shorts and tank tops again until May... I was completely unprepared. Then, regardless of how hot it is during the day, at around 8pm it goes cold. Cue the slouchy sweat, every girls' best friend. Marks and Spencer's new found wonderfulness continues with their AW11 Limited Collection. These 'granddad sweaters' reinforce this - relaxed, cool and totally comfortable. The zip on the shoulder gives it an edginess. Pair this with some wet look trousers and heels, or just jeans and flats. For £35, you'll be high in the fashion stakes, and probably the most cozy you've been for a while. Buy it here. 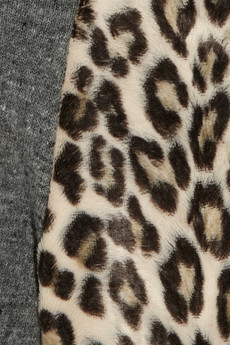 We've already written about this fantastic jumper from Sandro, but this is a nice excuse to again. Sandro really are worth a look if you get a chance - their stuff is fantastic. Similar to Whistles but slightly less safe. The model above wears this top exactly as we would for a night out, with bright jeans and heels. Let the print do the talking. Available for £175 at NetaPorter.com here, it isn't cheap but then when is something of such good quality a bargain price? 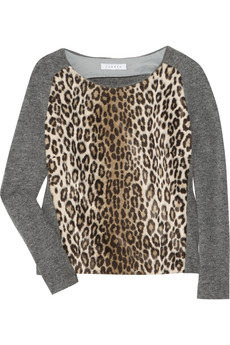 This is the perfect 'I'm really lazy but need to look good and with it' top. Next never fail to surprise me - I love them. 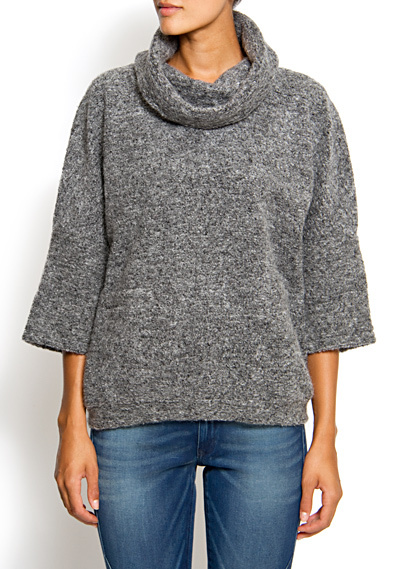 This sparkly slouch is fantastic - and looks like a much more expensive one from Comption des Cottoniers (spelling). This is a perfect little piece, and for only £35 buy it here. Aubin and Wills (Jack Wills' big, employed, post-gap-yah brother) is a fantastic stopping ground for good, British essentials. For anyone not from the UK, Jack Wills is our Abercrombie and Fitch - but better. However, there was a generation of teens who lived in their oversize gym sweats, tracksuit bottoms and rah-shirts - complete with backcombed hair, Converses, and eye liner - that put the company in a bad light. Aubin and Wills, like totally, changed that. It did actually - their stuff is really impressive. This arran jumper, is a staple over here in the UK - and though it isn't cheap, they certainly don't scrimp on the quality. Buy it here for £145. Nice alternative to the Ralph Lauren jumper that those annoyingly-safe Kings Road types live in - sooooooo 1990, and looks it. 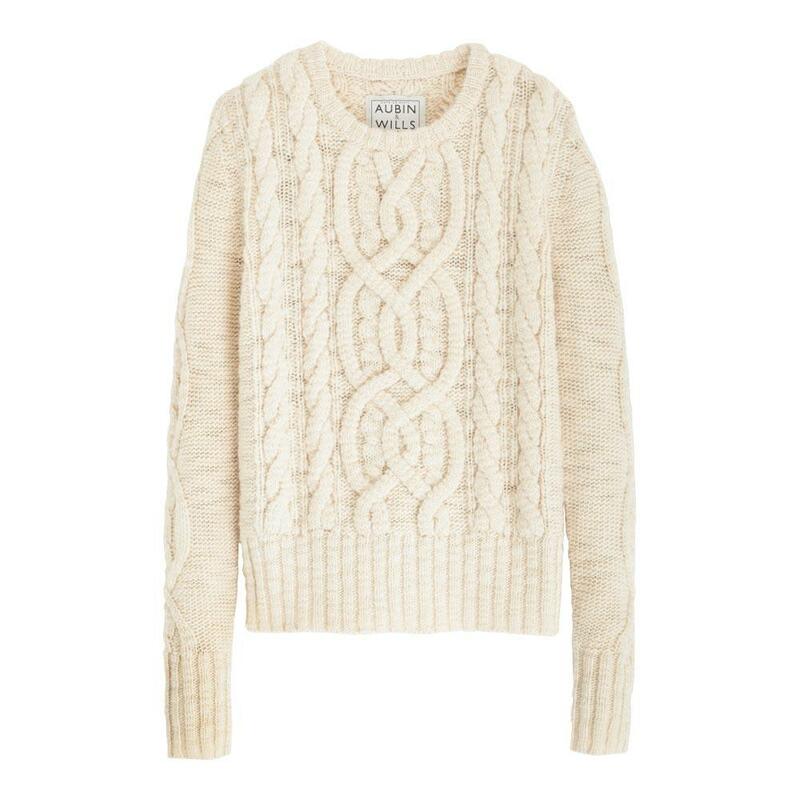 Last but by no means least, here is a great new jumper in from Mango. 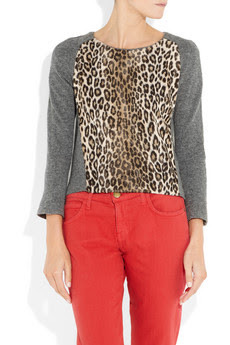 Rarely do I shop at Mango, but whenever I do I find something I really want - like this. Again, nice and cheap at £42.90 (a European conversion no doubt). Buy it here. Totally agree with u. Chunky sweaters are amazing especially in autmn time!! High Street: Bargain Reiss Shoes - £44!